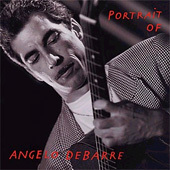 Angelo Debarre, born in St-Denis, France, started playing guitar at the age of 8. In the manush (gipsy) community, tradition is transmitted orally in family parties and gatherings, where music always occupies a prominent place. 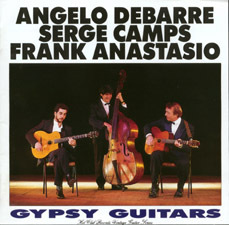 Angelo recently confirmed this to Michel Bedin of Jazz Hot magazine1: “In any gathering of three to four hundred caravans there is no shortage of music”.The gipsy jazz musical tradition launched by Django Reinhardt is the heart of this culture and Angelo Debarre quickly became one of its jazz masters. He founded his first group “The Angelo Debarre Quintet” in 1984, and the following year, he began touring the world with gipsy musicians. This is music that he knows inside and out, and at concerts and festivals his enthousiasm and passion prove it. For Angelo Debarre, Django Reinhardt”s music never loses the dynamism and richness of the past : it is everlasting, a living music . 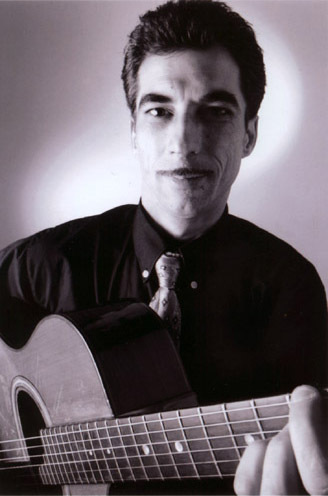 He has also mastered with equal ease the gipsy Music of Eastern Europe, a repertory that he became interested in through his contacts with Serge Camps at La Roue Fleurie, a favorite meeting place of the gypsies in Paris where he played regularly between 1985 and 1987. 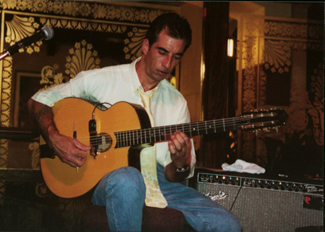 Another regular at La Roue Fleurie during this period was Jon Larsen 2, who was fascinated by the music he heard there decided to bring Angelo Debarre, Serge Camps and Frank Anastasio together in the recordings studio to produce “Gypsy Guitars”. A recording that would showcase the group’s dynamism and the incredible variety of the gipsy repertory. The album is still essential for every aficionado of the gipsy music of the Eastern European tradition and gipsy jazz. 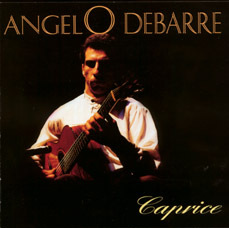 Angelo Debarre has recently recorded “Caprice”, his first album as a band leader. It is a recording that allows us to appreciate his talent as a composer, and to hear Gipsy jazz as we never heard it before. This album brings together some of the best that Europe has to offer for this music: Florin Niculescu on violin, Philippe “Doudou” Cuillerier and Max Robin on guitar, Bojan Zulfikarpasic on piano, Bernard Malandain on doublebass and Xavier Desandre-Navarre on percussion. 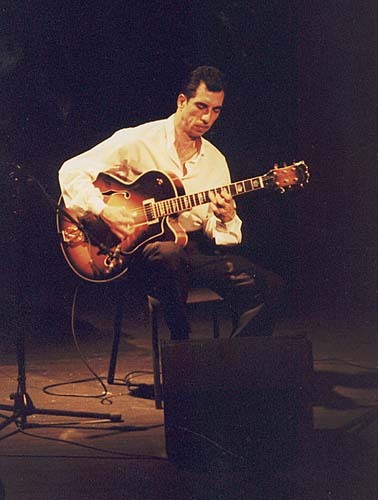 The album was a popular critical success on both sides of the Atlantic, and proved that gipsy jazz is here to stay ; reviewers pointed out the important contribution that it has made to gipsy jazz tradition. It is now available in Canada.